In the friendly tug-of-war Jackson plays with its suburbs over residents, the suburbs have seemingly developed an unlikely edge: networks of biking and walking trails that can actually take you from place to place. While Jackson doesn’t officially have any commuter trails (yet), the more active and adventurous residents of Belhaven and Belhaven Heights have been using a secret trail system for years. 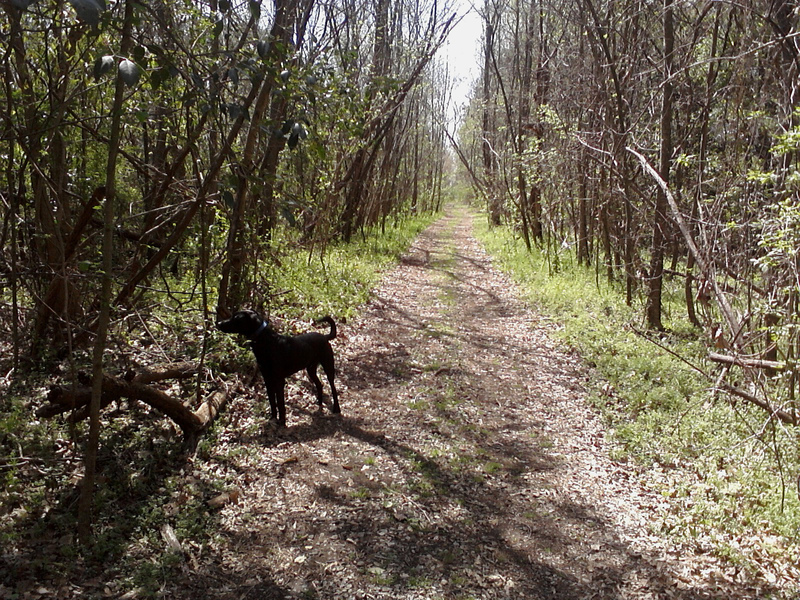 An abandoned rail road track, with a section of rails removed from High St all the way to the Pearl River, makes a perfect forested get away right in the city. It is not uncommon to find dog walkers, mountain bikers, or the occasional 4-wheeler using the clear and level packed gravel trail. While this “trail system” can be accessed in a few different places, it is most commonly accessed in Belhaven Heights on Greymont St or behind Laurel St park. After passing the Water Works Plant, the trail terminates as it approaches the Pearl River. As the earth drops off, the rail bed remains level, supported from beneath by a system of creosote trusses. This creates an unusual condition where you are walking in the canopy of the forest, some 25 ft above the ground. The bridge becomes impassable due to a mysterious fire that was allowed to burn a few days before Katrina struck. 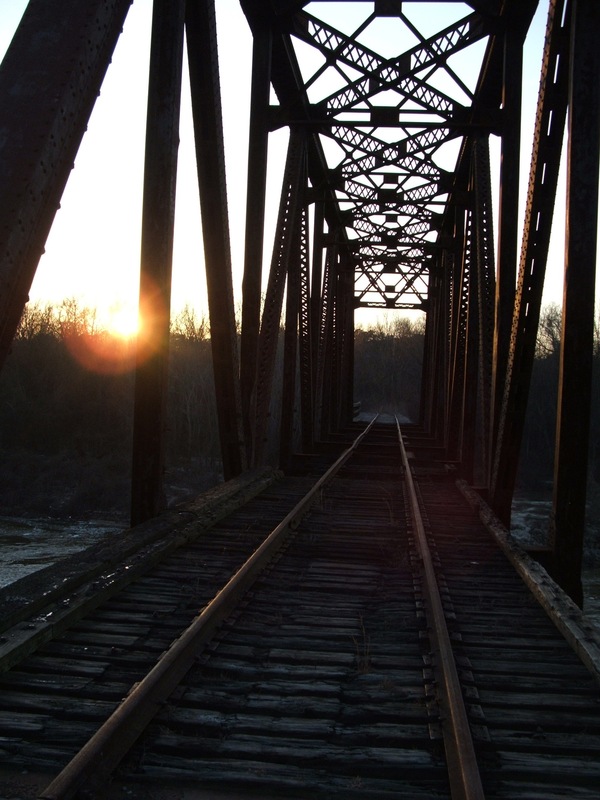 While you can still get close enough to the river to catch a glimpse of the structural elegance of the old train trestle, you are no longer able to walk across onto the Rankin county side. This section of rails traces it’s history to the now defunct Gulf, Mobile and Ohio Railroad, which seems to have acquired it during the late 1920’s. During it’s operation, this line was able to move people and cargo from Union, MS to Mobile, AL via Jackson. There was a large switch yard on High St where some of the service buildings still stand. GM&O was bought by Illinois Central, and in 1996, closed this section of rail as well as many others due to redundancy in routes. Interestingly, a private speculator now owns the bridge, while thankfully the old rail bed is owned by The Greater Belhaven Neighborhood Foundation. While most of the story of this piece of obscura is one of neglect (and possibly arson) there is a silver lining. Through a community partnership between Bike Walk Mississippi, the Jackson Bike Advocates, and The Greater Belhaven Neighborhood Foundation, plans are underway to create the Museum-to-Market Trail. This will take the existing trail to a whole new level. In addition to making the trail official, it will be extended to allow someone to walk, bike, or rollerblade from the MS Farmers’ Market on High Street all the way to the Natural Science and Children’s Museums without ever crossing a single street! The volunteer trail clean-up day is happening Saturday, May 7th from 9am-12. Please come out and help make this vision a reality. The GM&O in Jackson has an interesting history. The New Orleans and Great Northern was built from Slidell, LA to Jackson between 1900 and 1910 to serve the logging operations in the Pearl River Valley and the new sawmill town of Bogalusa, LA. The NO&GN was built as a mainline railroad for common carrier service with modern rolling stock and regular passenger service. In 1920, the NO&GN was acquired by the Gulf, Mobile, and Northern which ran from Mobile, AL to Jackson, TN via East Mississippi, and the Jackson and Eastern was built for the GM&N from Union to Jackson by 1923. During the 1930’s, the GM&N ran fast freight service between New Orleans and Jackson, TN via Jackson and the first lightweight diesel powered passenger train in the country. In 1939, they acquired the Mobile & Ohio Railway which ran from Mobile to St. Louis, creating the Gulf, Mobile, and Ohio. In 1941 they acquired the Chicago & Alton, which linked St. Louis and Chicago, giving them a continuous, albeit circuitous, route between Chicago and New Orleans. 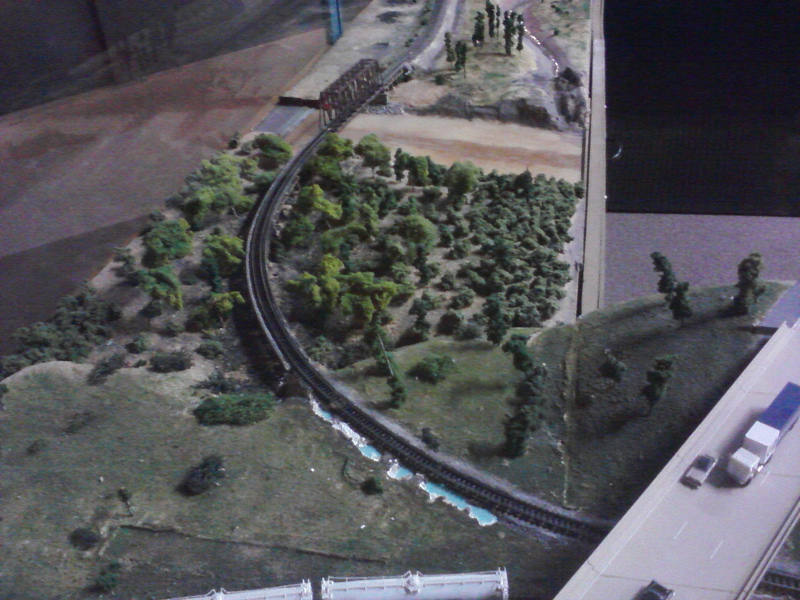 The GM&O did every thing in their power to compete with the Illinois Central’s shorter route between the two terminal cities, but by the late 1960’s the GM&O’s longer route and cheaply constructed lines ate in to their profits and merged with the Illinois Central to form the Illinois Central Gulf in 1972. The full history of the GM&O and its predecessors is available at the following link: http://www.acmeme.org/gmo/. Thanks, Kevin! This is awesome. I’m glad I can contribute, Andy. I’m a railfan and a history buff, this is right up my alley. Have you explored the NO&GN south of Commerce St. downtown? I don’t know what shape the bridges are in these days, but a couple of years ago they were more than sturdy enough to walk over. I haven’t, Kevin. I am, however, totally interested and I would welcome a guest submission if you ever wanted to do a post. BTW, I learned from your link that the section of rail I covered was originally built by the Jackson & Eastern Company, some time before it was bought. I still haven’t found the exact date the bridge was constructed, but I’d love to find out. One of my favorite places in the world. Been going down there for 20 years. Dear God. The trestle burned down years before Katrina, though. Probably like 2003. It is a special place for sure. 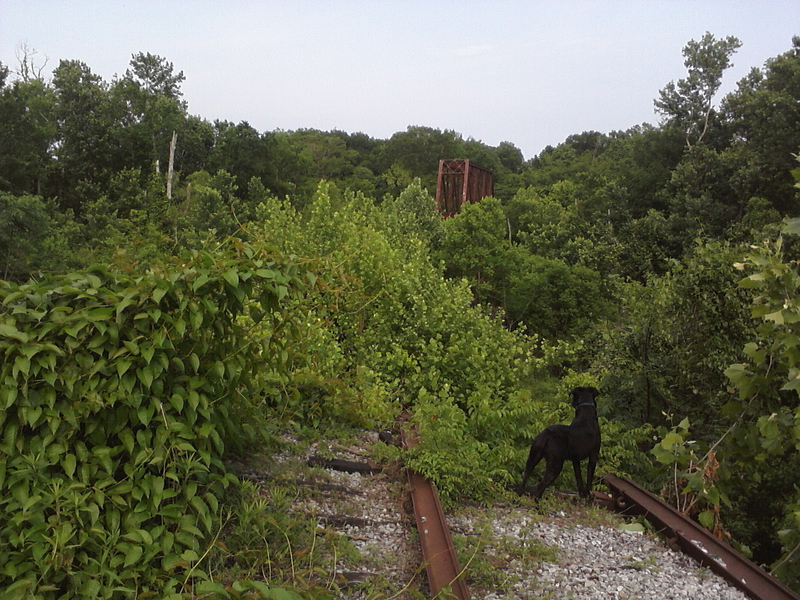 While the trestle may have been set on fire before, the most significant fire was definitely August 28, 2005. 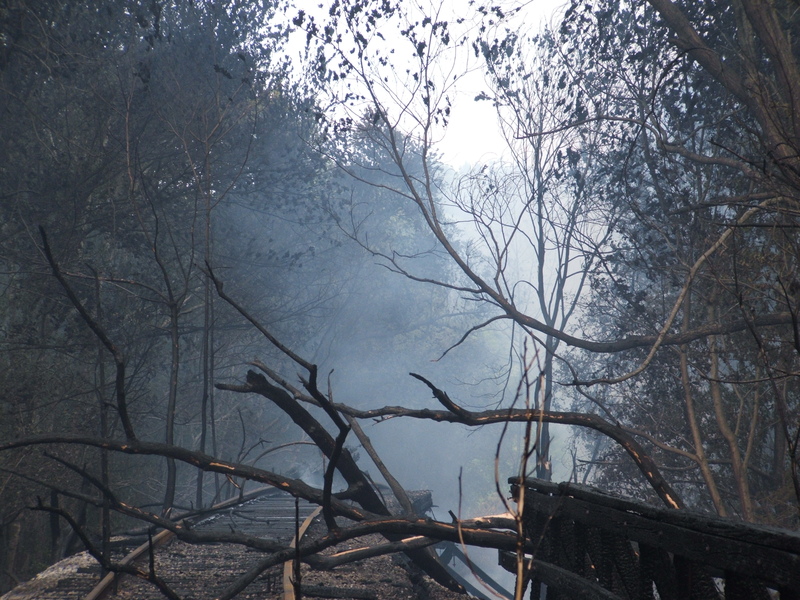 I should know, I followed a plume of smoke to find the trestle and bridge leading out to it ablaze. The fire department was there, but was only acting to keep the fire from spreading to the woods while they allowed the creosote structure to burn. I asked a fireman what caused the fire, and was told that the extreme heat from the sun had started it. Obviously, I was skeptical. Rumors abound. Especially ones involving Mayor Melton and neighbors complaining about people fishing there. I have no proof of anything like that but I did snap some pictures while I was there. One is in the post. I returned to the seen the day after Katrina (there was nothing else to do!) to observe the smoldering ashes. Great article, Andy. The fire was tragic but the concrete and steel are still in good shape. I’ve got a photo of an identical bridge complete with a poured concrete path, including high curbs. The Pearl River bridge needs to be on the trail eventually, speculator or not. Please forgive this attempt to hijack your blog, but I think it is important to note the role the business and healthcare communities are playing in the effort to get this project started. As chair-elect of the Greater Jackson Chamber Partnership in 2009, cardiologist Clay Hays, M.D., sparked the effort and generated a lot of interest among business and government leaders. Duane O’Neill mobilized the resources of the Chamber and this is now a priority project for elected officials and business leaders throughout the region. There are private funds ready and waiting to be spent on this beautiful trail segment that would anchor the eastern edge of Greater Belhaven and deliver a powerful boost to the effort to build a large trail system. As much tension as we’ve had between jurisdictions, I think it is important to point out that this Jackson trail segment has become the starting point for an unprecedented regional effort that will tie our communities more tightly together. We have been working continuously on this effort for a couple of years and have seen some major breakthroughs. Mayor Johnson’s gracious appointment of a Chamber board member to the Central Mississippi Planning Development District Board allowed us to press this issue in the forums that matter most to getting transportation projects funded. That, in turn, led directly to an expanded role for grass roots and advocacy groups at the Metropolitan Planning Organization (“MPO”), the arbiter of all federal transportation funds. The coordinated efforts of the Chamber, Bike Walk Mississippi, and the Jackson Bike Advocates, facilitated a change in statewide transportation policy in the recent MDOT resolution requiring feasibility studies for multi-use trails on all new and rebuilt roadways. At CMPDD, the local arbiter of federal transportation funding, we learned that there are so few trails in Mississippi because there had been no urgency for trail building at the commissioner level. That inspired us to make trails a campaign issue for the transportation commissioners. It only took one special election to generate the dramatic result of the new resolution. Bike Walk Mississippi advocated specifically for the provision that will require wider shoulders where separate trails are deemed infeasible. This cooperation between business and government and citizen groups should not be overlooked because we don’t see enough of it and it is the only way to get the kind of trail system we need. It is fitting that the trails project is bringing these groups together. Our need for trails development is just that. It is not a luxury but a must-have amenity. Jackson will thrive only if we can continue to attract the most talented young adults, who actively seek out cities with multi-use trails. One of our most devastating social problems is obesity. Public health is tied to so many other problems we struggle with as a community and these trails are proven to increase exercise levels where they are built. Trails in Mississippi have also had surprising, positive impacts on seemingly unrelated issues, like race relations, crime, economic development, and regional politics. Even the more obvious benefits, like tourism, have led to surprising results. If a trail system is long enough, groups of cyclists from all over the world will find it and spend money in hotels and restaurants near it. We have been shocked by some of the things these trails have done for communities similar to Jackson. Locally, Ridgeland is leading the way but a connected system across the metro, through the city, would bring another set of benefits that would transform our hometown. Too many arbiters, sorry. The MPO sets a plan that dictates which transportation projects will be funded during 5 year phases of a 35 year plan. Sound familiar? The MPO board is made up of elected officials from cities and counties in the MSA (metropolitan statistical area). The MPO is housed at CMPDD. Jackson only has a few votes. It’s confusing but it may be the most important reason to maintain good city-suburb relations. I love all the posts. We had a great day at the Museum to Market clean up yesterday and this will be one of many. Our plan is to eventually connect the reservoir to Highway 80 right through this trail. It will be part of the Heart of Mississippi trail system. I will try to keep you posted as we make progress. Stumbled across this today. I live in Belhaven and am into trail running- would love to find this but have a horrible sense of direction. Is it through the little opening at the back of Laurel Park? Thanks for sharing! Ellie- That is one way to access it. Behind the park and up the slippery gravel embankment onto the rail bed. You can also get there at the end of Laurel St or the end of Greymont.